Anna Patty of the SMH reveals that Brad Astill has "stepped down" from his job as General Manager of Westmead Hospital. 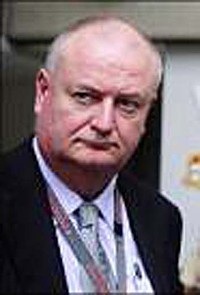 Stephen Leeder, the Chairman of the Western Sydney Local health District, denied that it was a punitive dismissal, though Westmead Hospital had "serious management issues". Brad Astill was disciplined and referred to the Independent Commission Against Corruption in April 2010.
had been found to lack competence to treat any baby in the unit. Dr Cole took his concerns to the Human Research Ethics Committee chaired by Stephen Leeder. The Committee did not act on these concerns. Instead the Committee took directions from the CEO to take no further action. It was regrettable that the Human Research Ethics Committee would submit to a CEO rather than deciding an ethical problem for itself as it was intended to do. In Dr Cole's opinion there is no point in having an Ethics Committee if it submits to the CEO. One might just as well have the CEO decide these issues and do away with the Ethics Committee entirely. Dr Andew Pesce is also a member of the Western Sydney Local Health District. His involvement in the reprisals against Dr Cole's whistleblowing can be read on other pages on this site: click here. In Dr Cole's opinion both Stephen Leeder and Andrew Pesce should immediately resign from Western Sydney Local Health District management. (Thanks for the link NSW-H).